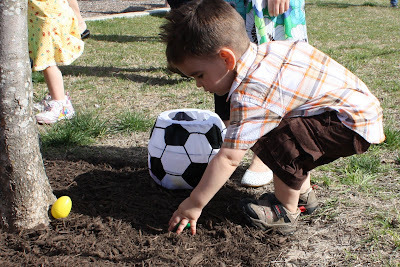 Who doesn’t love celebrating spring and Easter with an egg hunt?!? 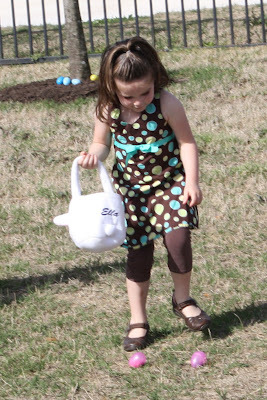 This year, on Saturday morning, The Austin Stone, our church, put on several egg hunts around Austin and one of them was at our neighborhood park! It was so fun to put together with my good friend, Denise. 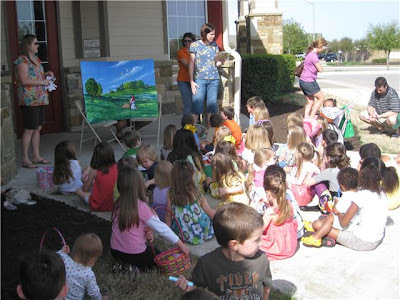 And, I was also privileged to get to share the Easter story from the Jesus Storybook Bible with the many neighborhood kids who came. I busted out my flannel board that I inherited from my mom’s Sunday school teaching days. It is totally 80’s, but the kids love it! 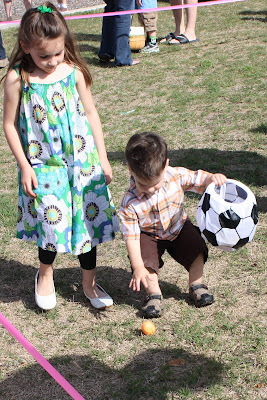 Asher wasn’t totally into it this year, but he didn’t know candy was inside the eggs either! Sweet big sister helping out her little brother! This is me with my flannel board reading the Easter story from the Bible! 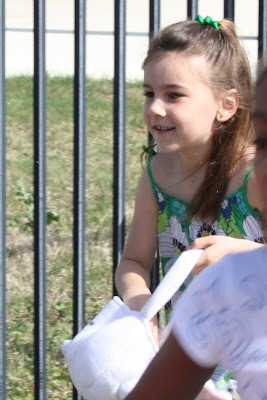 On your mark, get set, go Rilyn! 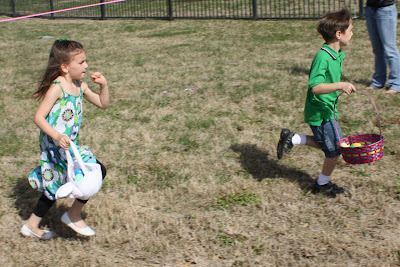 Here is Rilyn trying to race Levi. If you know these two, this is the story of their relationship! Oh the flannel board! I can’t believe those are still around! See, who needs a bunch of technology when you have one of those:) What an amazing way to get to share the Easter story with kids!